The Huawei Mate 20 Pro features a 6.39-inch AMOLED display with QHD+ resolution. The display is HDR10 capable, and it has a DCI-P3 color gamut. More importantly, there is an in-display fingerprint scanner. The screen has a nearly bezel-less design. However, with a notch. Speaking of which, the notch houses the 3D face recognition system, which can be used for unlocking the device. The Huawei Mate 20 Pro is powered by the brand’s own Kirin 980 SoC. The chipset has eight CPU cores among which are four Cortex-A75 cores for heavy tasks, and four Cortex-A55 cores for lighter tasks. Although the Mate 20 Pro is available in 6GB RAM + 128GB storage and 8GB RAM + 256GB storage variants internationally, in India, the device is available only in the 6GB + 128GB variant. The Huawei Mate 20 Pro is renowned for its camera hardware. The smartphone comes with a 40MP + 20MP + 8MP triple-camera setup at the rear. All three cameras have phase-detection and laser-detection autofocus. There is also OIS, but unfortunately, only in the 8MP camera. The front-facing camera is a 24-megapixel sensor. The Mate 20 Pro has a 4200mAh battery, which is comparatively larger than what its competitors offer. Not only that, but the battery also supports an astonishing 40W fast charging. 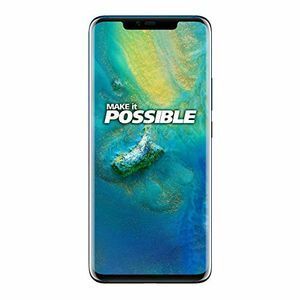 The Mate 20 Pro also offers all the additional features that you expect from a high-end smartphone such as IP68 water and dust resistant body, USB 3.1 Type-C port, Bluetooth v5.0 with aptX HD codec, dual-band Wi-Fi ac, dual-band GPS, and stereo speakers. Pros: The Mate 20 Pro offers an excellent industrial design. Imaging on this phone is superb. This phone also offers the best battery life on a flagship we have ever seen. Supercharging is a boon, and EMUI gets significant improvements. Cons: Front camera left us wanting for a bit more. Also, the phone is still not capable of recording 4K 60fps videos. The phone's in-screen fingerprint sensor is not fast enough. The EMUI experience might not be for everyone. Summary: The Huawei Mate 20 pro is undoubtedly one of the best flagship phones one can buy in India. It also bears one of the best imaging setups we have seen, that even outclasses Google Pixel 3XL in some areas. The only smartphone that is currently competing against this phone is the Samsung Galaxy Note 9. While some might still choose to stick with a more 'trusted brand,' there is no denying that the Mate 20 Pro is the best bang for your buck flagship out there right now. The Huawei Mate 20 Pro price in India is Rs 64,990 for the 6GB + 128GB internal storage variant. The phone is available in 4 variants: Blue, Twilight, , Green . The phone was launched in India on 16 October 2018. The Huawei Mate 20 Pro looks downright stunning with its curved glass design. Both the front and rear glass panels curving gently into the metal frame. This not only looks gorgeous, but it also makes phones as large as it is comfortable to hold. This design is also functional since the phone is also certified for IP68 water resistance. Huawei’s implementation of in-display fingerprint sensor also aids ergonomics further, and it is touted to be fast enough to replace traditional physical fingerprint sensors. Furthermore, the 3D depth sensor is hidden within the notch also enables face recognition and also doubles up to deliver 3D emojis. 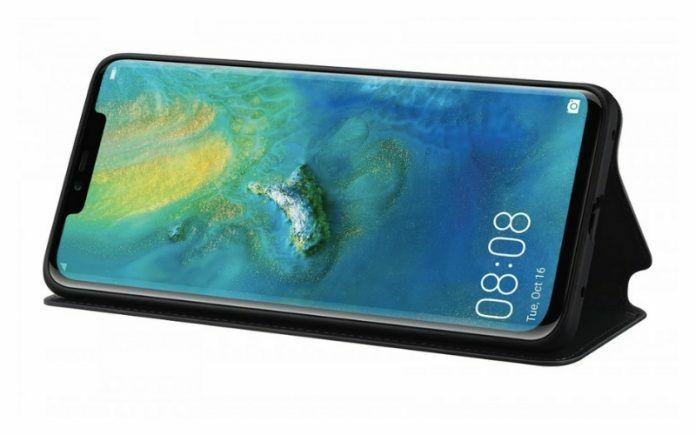 The centerpiece of the Huawei Mate 20 Pro, however, is the rather large 6.4-inch AMOLED display. The display is HDR10 compatible. It embodies the bezel-less design of the phone and sports the wider 19.5:9 aspect ratio to that effect. That makes the 1440×3120 pixel screen longer, which when combined with the 88 percent screen-to-body ratio makes the phone easier to hold. Unlike the recent Vivo and Oppo phones, the Mate 20 Pro still bears a notch. The Twilight finish looks even more gorgeous than the same finish on the P20 Pro. The large square housing incorporating the triple camera assembly and the LED flash looks decidedly bold as well. The Huawei P20 Pro is considered by many to be the best smartphone camera to date. The Mate 20 Pro takes the same formula and improves it slightly, and peppers it with a huge helping of AI enhancements. The 40-megapixel sensor is unchanged, but the 20-megapixel secondary sensor has been upgraded from the P20 pro’s monochrome variety to a full-color sensor on the Mate 20 Pro. This change allows the camera to be versatile, and super-sample images from all three sensors for better zoom, macro, and wide-angle shots. What one loses in native black and white image capability, the first few reviews confirm that’s more than made up in the overall quality of the shots and the aforementioned sheer versatility. Combine this with the AI capability, and many of the first reviews have noted Mate 20 Pro’s capability to take great, almost photoshopped, snaps at the press of a mere button. 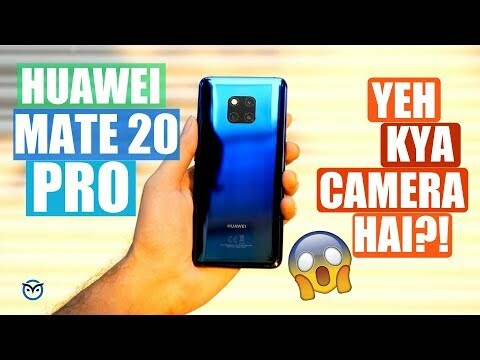 Prima facie, the Huawei Mate 20 Pro seems like a worthy successor to the P20 Pro and could prove itself to be the best smartphone camera of this year. The Huawei Mate 20 Pro is a thorough flagship phone that makes zero compromises. That means you get wireless charging, but Huawei goes one step further by allowing the phone to charge other phones wirelessly. 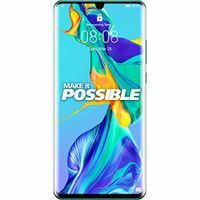 This is a good opportunity to mention its impressive 4200mAh lithium polymer battery, which is a significantly higher capacity compared to the average flagship smartphone. The battery itself fast charges at a massive 40 watts and can attain 70 percent battery capacity within 30 minutes. The Mate 20 Pro is also the first phone to incorporate a 7nm SoC. The AI optimized Kirin 980 chipset contains four Cortex-A76 cores at different clock speeds, in addition to another four low power Cortex-A55 cores meant to improve battery efficiency. The new chipset boasts of advanced AI capabilities and supports faster LPDDR4X memory while claiming to possess much higher bandwidth, lower latency, and better power efficiency compared to the Qualcomm Snapdragon 845 chipset. However, the lack of a traditional microSD card slot for storage expandability wouldn’t have been bad if Huawei hadn’t replaced it with its proprietary Nano-Memory format. Is this a water and dustproof mobile? Yes, it is IP68 certified. How is the RAM performance of this phone? Is this a Google-version mobile? Content peddler by day and avid gamer by night, Nachiket has been obsessed with computers since the days of the 8086. He has worked with some of the reknowned tech publications and media houses like UTV, Network 18, Digit, Chip, TechTree, Tech2, International Business Times Australia, and DNA. His free time is meant for tinkering with hobby grade R/C, or just sharpening his knives. He also has a kitten named Nigel and is ready to give up his aquariums for him.